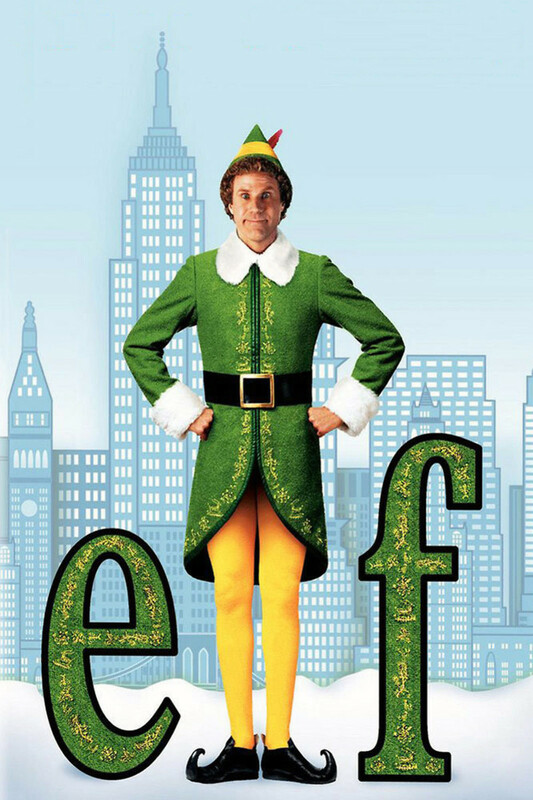 Will Ferrell stars as Buddy the Elf in modern-day Christmas classic "Elf." It follows Buddy's realization that the North Pole elf (Bob Newhart) he believed to be his father actually adopted him as a baby. His quest to find his real father leads him to New York City, a far harsher world than the sweetly hyperactive and rather dim-witted Buddy is prepared to face. Buddy must use his indomitable spirit to overcome all of the challenges that he faces in his journey of self-discovery, including trying to win the heart of a sour-faced department store employee named Jovie (Zooey Deschanel). The movie's primary charm lies in the performance of Ferrell, garbed in bright green and filled with an optimistic outlook that infects everyone around him.